Since 1976, Litteken Tax Services has been the premier provider of tax preparation, serving the entire United States. We are an independently-owned and operated business with over 40 years of experience. Our friendly and professional staff work to provide quality services at reasonable prices. At Litteken Tax Services, we know you need a dependable, experienced professional to ensure your taxes are filed accurately and on time. That’s why we bring over four decades of experience and extensive knowledge of both business and individual taxes to every job. We specialize in income, personal, partnership, corporate, nonprofit, estate and trust tax preparation in Clinton County, IL. We make sure nothing is missed, putting money in your pocket and peace in your mind. For the business owner, we can help ensure your financial operations run more smoothly and improve your bottom line. For individuals, we will make sure you take advantage of every tax benefit available – even filing for those you missed in the past! 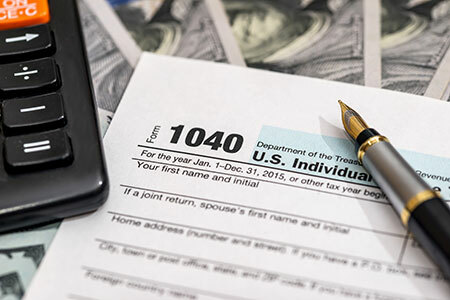 We offer more than 40 years of experience in a wide variety of tax law. We are a US Department of Treasury Certified Enrolled Agent. Our expertise includes both business and individual taxes. We are locally owned and independently operated, for personalized service, every time. We provide in-person or remote tax services. Call us today to take advantage of the expertise at Litteken Tax Services for all your tax needs. "I got a lot bigger refund than I expected! A+"
"Just had my taxes done and it was the most fun tax experience ever!"